Skunk2’s new cutting-edge composite fuel rails are made using our proprietary carbon impregnated aerospace thermo-polymer composite. This material insulates the fuel from both radiant and conductive heat transfer under the hood. Keeping the fuel cooler results in an increase in horsepower and torque. We have seen power gains of up to 3% in real world testing. 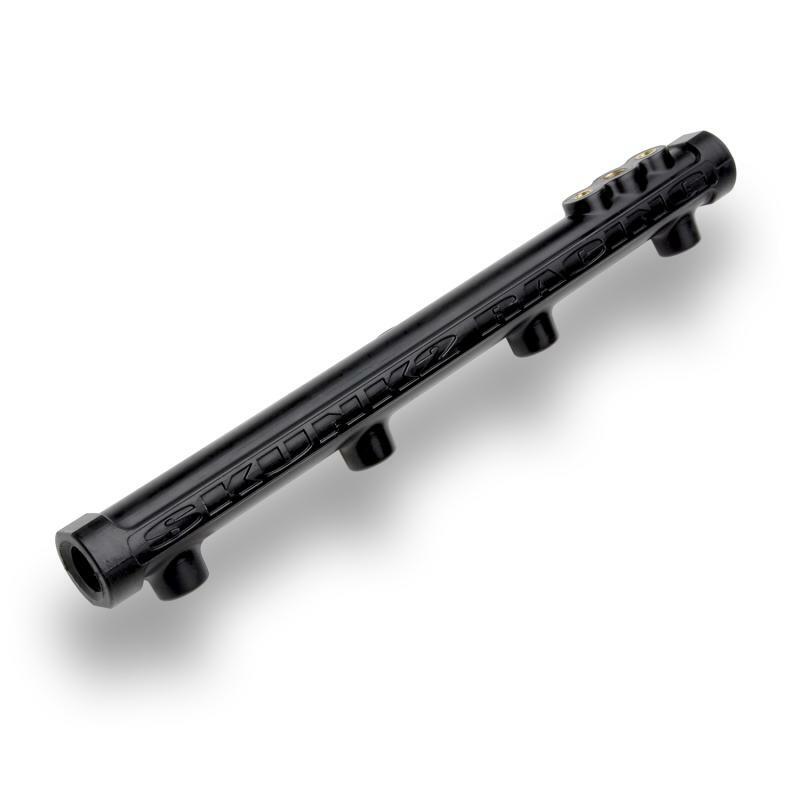 Skunk2 composite fuel rails feature a large 0.625” internal bore with radius inlets to the injectors thus improving flow characteristics. This type of radius injector inlet design is not possible with extruded and drilled aluminum fuel rails (which have sharp angles internally where the main bore meets the injector bores). Skunk2 fuel rails can be used with factory fuel lines and fuel regulators.